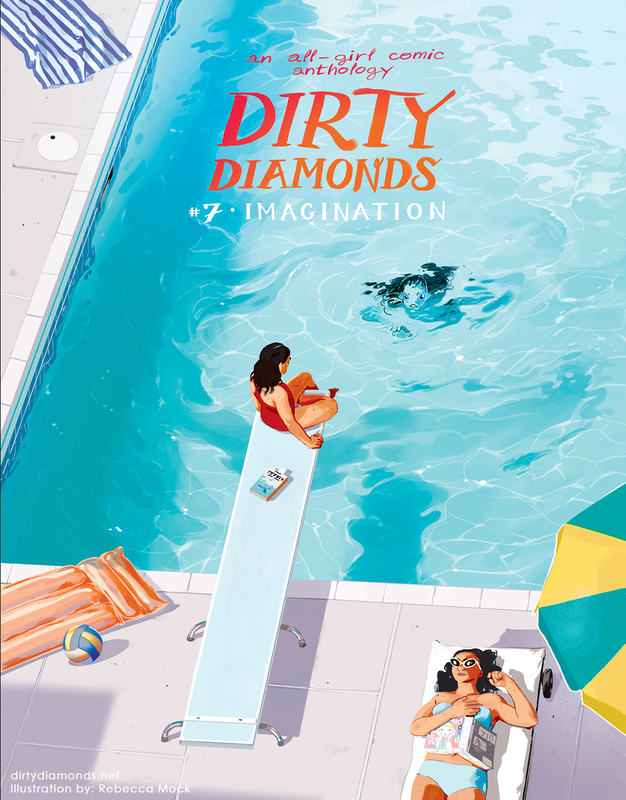 Dirty Diamonds is an award-winning all-girl comic anthology. The latest all-ages installment is a book that captures our weirdest fantasies, our darkest dreams, our brightest creations, and all the figments of our imagination… Making up stories about the nearby woods. Creating fanfiction with a friend to stay close during a move. Envisioning yourself as an alien moon princess. Using magic to help realize your identity. Struggling to stay creative on a new medication. Mastering the mystique of pro wrestling. Reinventing yourself as the hero of a game. Picturing your characters doing sick flips out the window of a moving car… With imagination, all things are possible. Cover art by Rebecca Mock.